Whether you plan to stay there yourself or let it out to other people, your holiday apartment should be the perfect home away from home. It needs to be welcoming, relaxing, easy to look after and a fun place to spend time. It should also be very different from your home, so that you really feel you’re getting away from your day-to-day life. You’ll need to get creative to bring this dream to life. A holiday apartment doesn’t need as much furniture as a home, so keep it simple. Bedrooms should have only beds and enough storage space for what can be brought there in suitcases – a wardrobe and a chest of drawers are usually sufficient. 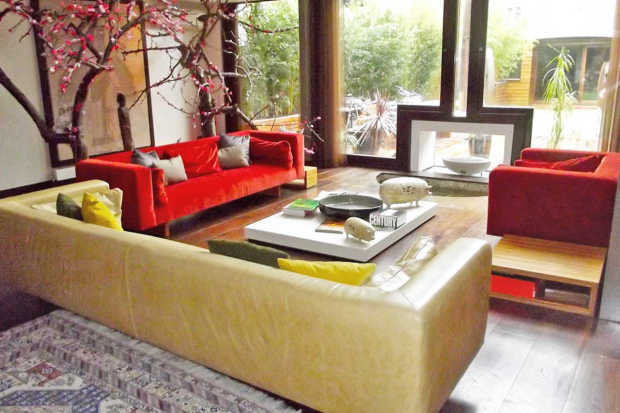 Living rooms need comfy chairs and sofas plus a coffee table. There will also need to be a dining table somewhere in the apartment; round ones are best because they don’t take up much space but chairs can still be tucked out of the way underneath them. You’ll also need a bookshelf and a bit of storage space where everyone can easily access it. Holiday apartments need to feel bright and clean, so choose some unique shutters to give character to the windows and let in lots of daylight. Stick to pale colors for the walls and ceilings, and add brighter splashes of color through items like rugs, cushions and bed linen. Soft lighting for the evenings will help to give the place that cozy feeling, and rose-tinted lighting in the master bedroom will add a hint of romance. The kitchen is the heart of any home, and a holiday apartment kitchen needs to have that homely feeling, even if it’s only a kitchenette at one end of the living room. It won’t need to be equipped like a home kitchen because it will only be used to cook simple meals, but make sure it has a basic oven, a microwave and a dishwasher to keep the workload down. Mixed and matched oddments of crockery will give it charm, but make sure everything is in good condition. Remember that people sometimes meet up with friends on holiday, so make sure there’s enough crockery and glassware for entertaining. There are a number of things you can do to make the apartment feel welcoming. If children will be staying there, provide a couple of plush animals for them to make friends with. Make sure there are board games, jigsaws and DVDs in the living room for entertainment. Keep a supply of books likely to appeal to varied tastes. If you’re in a position to visit the apartment before guests get there, leave them some bread and milk, coffee and a packet of biscuits, and brighten up the living room with fresh flowers. An attractively decorated holiday home means you can look forward to wonderful breaks, while guests you let it out to will be keen to return again and again.